In a nod to the Thai capital taking its rightful place on the international culinary stage with the launch of the first Bangkok edition of the Michelin Guide last year, a stellar line up of thirteen chefs from twelve Michelin-starred restaurants are set to take over one of the city’s most exclusive addresses. 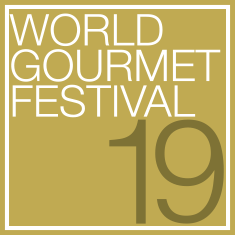 From 3rd – 9th September 2018, acclaimed chefs from nine countries – from Korea to Japan and from the United States to Portugal – will present an international culinary feast at the 19th annual World Gourmet Festival at Anantara Siam Bangkok Hotel. This year, Anantara Siam Bangkok Hotel’s 19th World Gourmet Festival is presented in collaboration with Sanpellegrino and Gastronauts Asia, and sponsored by Citibank N.A., Mercedes Benz (Thailand) Ltd., Tourism Authority of Thailand, Turkish Airlines, Bangkok 101, DestinAsian, Prestige Thailand and HELLO! Thailand.